Chasing God is exhausting. Yet God doesn’t get weary of loving us. I’ve been thinking about this lately. Since I first told God I would follow him, I’ve still struggled to give up control and trust. So instead of following my Savior, I’ve spent too much time rushing around trying to catch him on my own. Too often I’ve let my own expectations move me. Approval-seeking perfectionism propelled me when Christ’s compassion and love should have compelled me. I’ve let my circumstances define my mood and other people’s reactions dictate my emotions. I’ve let my own plans become my priorities. Some days I wish my son would obey quicker and annoy his sister less. There are times I wish my daughter would quite worrying about what hasn’t happened yet. I carry my own burdens of wanting to do more, thinking I should have said less, and wondering why details are the way they are. But I need to lay those weights down. 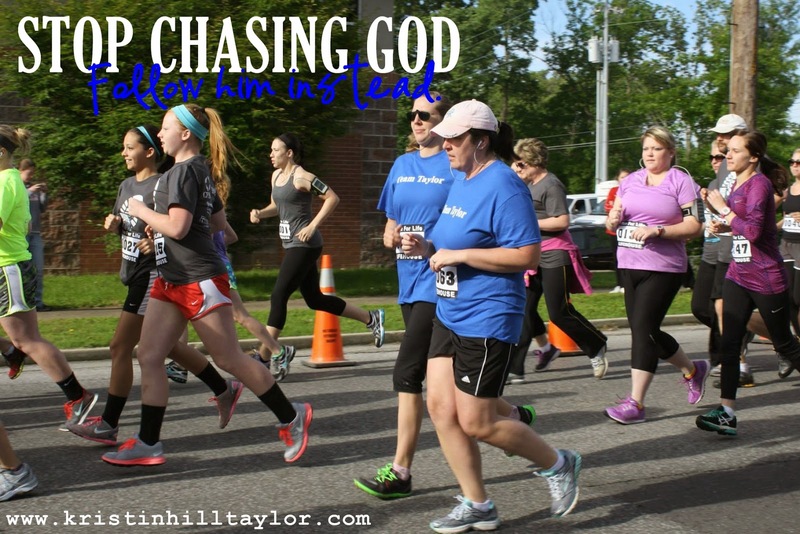 I need to stop chasing God. God’s got it. He doesn’t need me trying to fix things and wait until I’ve got my act together. Really, if that were the case, I wouldn’t actually need a savior. Because I’m human. So are you. And we’re going to struggle. Our kids aren’t going to listen. Our plans are going to fall through. We’re going to lose our cool. We’re going to laugh til we cry and cry til we laugh. We aren’t always going to have the words our friend needs. Other days we’re going to say too much. People are going to disappoint us and we’re not going to please everyone we love. But it’s in those struggles, we find our Savior. Yes, sometimes it means letting go of our grudge or lowering our voice. But God’s there. I haven’t always been able to laugh at myself. That’s something that’s come as I’ve realized I don’t need to chase my Savior. More importantly, each day has been part of the journey to walk farther away from my sinful nature and close to God’s joy and righteousness. God’s love compels me right here in the midst of my ordinary, earthly struggles. 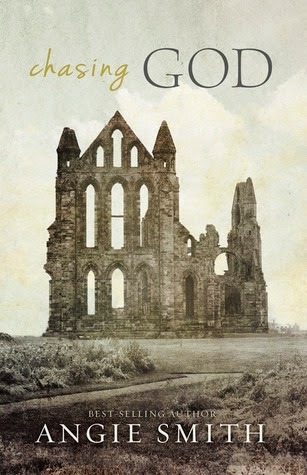 I received a free copy of “Chasing God” in exchange for a review from Icon Media Group. I was delayed in posting my review, but, honestly, it was good for me to read the book when I did recently. Angie Smith’s message complemented some other things God has been teaching me. I actually ordered hardback “Chasing God” when it released in January, so I’m going to giveaway that copy, which hasn’t been read yet. So, who wants to read it? To enter to win, leave a comment about what God’s teaching you about your everyday life. I’ll randomly choose a winner Thursday, April 24. 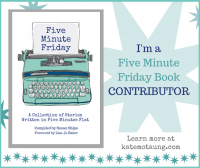 Updated to congratulate Beth Stiff, who blogs at Simply Beth. The book is coming your way! Thanks to those who shared in the comments. Updated on May 7 to include a second giveaway! Icon Media Group is offering another copy of “Chasing God” to one reader. Those of you who commented below will be entered to win this time too. Plus anyone else is welcome to comment below on what God’s teaching you these days. I’ll randomly choose a winner on Monday, May 18. Congratulations to Mindy on winning the second copy! Send me an email with your mailing address and I’ll get Icon Media Group to send you the book. 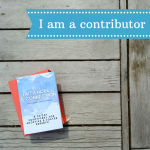 I’m linking this post with Jennifer Dukes Lee’s #TellHisStory, Thought-Provoking Thursday at Lyli Dunbar’s blog and Jill Savage’s Hearts at Home blog hop. He continues to teach me that no matter what I am going through He is there, He loves us, He never gives up on us! This looks like a book I need. I am constantly learning that God will sustain me. When I think I just can't keep on, God gives me strength and helps me do what I need to! I want to win! 🙂 Sounds like a powerful book. I loved the quotes you shared…especially that first one. And isn't this so true ~> "God's got it. He doesn't need me trying to fix things and wait until I've got my act together. Really, if that were the case, I wouldn't actually need a savior." God's got it. Three great words!! Easter blessings to you, friend. Love you. Isn't it amazing how God does sustain us, even when we doubt?! Thanks for coming by and commenting! I love Angie's insights and would love to read this book! God has been reminding me that He is enough. Period. I don't have to be enough because He is enough in me. Have a wonderful Easter. He is enough. Goodness, that seems so simple yet I struggle to grasp that too. Hope you've had a lovely Easter too, Mindy! Awesome insights Kristin! You've made me want to read this book. I can relate a little too well to this…"Approval-seeking perfectionism propelled me when Christ's compassion and love should have compelled me. I've let my circumstances define my mood and other people's reactions dictate my emotions. I've let my own plans become my priorities." Yes, yes, yes! Sorry God. So glad He's slow to anger and quick to forgive. Thanks so much for sharing with http://www.CirclesOfFaith.org!! Thanks for hosting the book link up and coming here to comment. There are so many good books out there right now! Hey, Mindy! You're the winner of the second copy of "Chasing God" I get to give away. Yay! 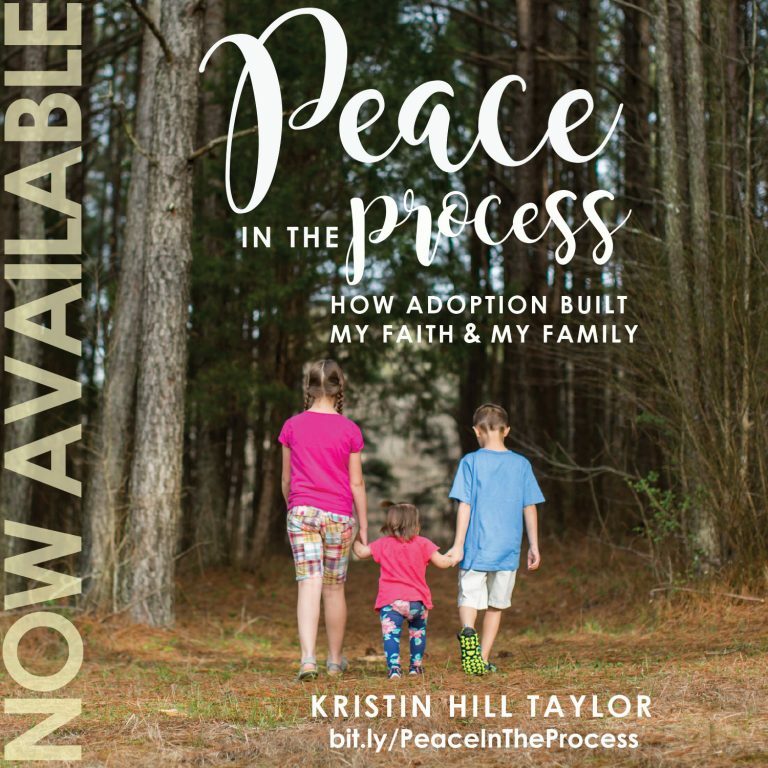 Will you email me at kristinhilltaylor (at) gmail (dot) com with your mailing address so I can get the media company to send you the book? Thanks!